*No Purchase Necessary. Correct answer to skill-testing question required. Contest begins at 10:00 AM (ET) April 2, 2018 and closes at 11:59 PM (ET) on March 31, 2019. To enter and for full rules, visit www.circlekfreegascontest.com. 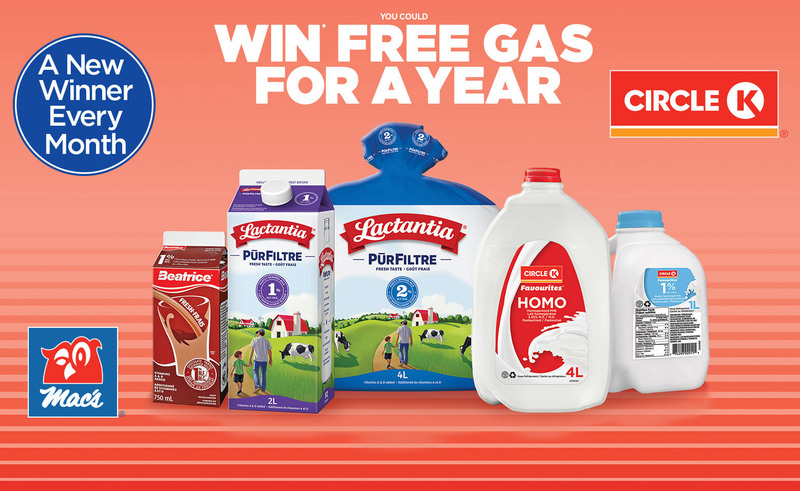 There are a total of twelve (12) Monthly Prizes available to be won, each consisting of “Free Gas For a Year” (ARV $2,600). Odds of winning a Monthly Prize depend on the number of eligible entries received each month. Contest is open to all individuals who are residents of Ontario and located in Canada at the time of entry, except individuals residing in the province of Ontario who are under the age of thirteen. Powered by TPG Rewards, Inc.